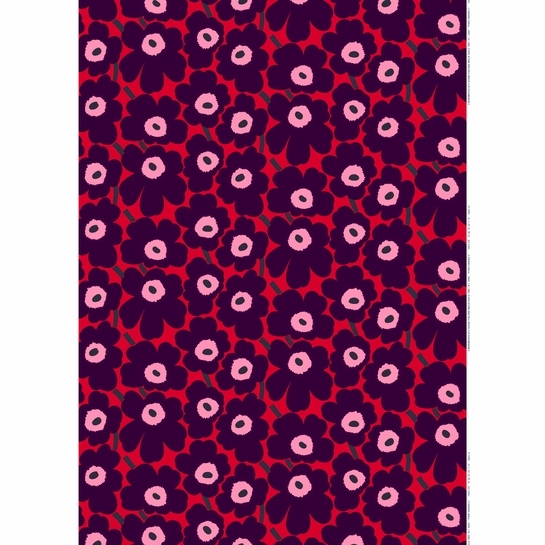 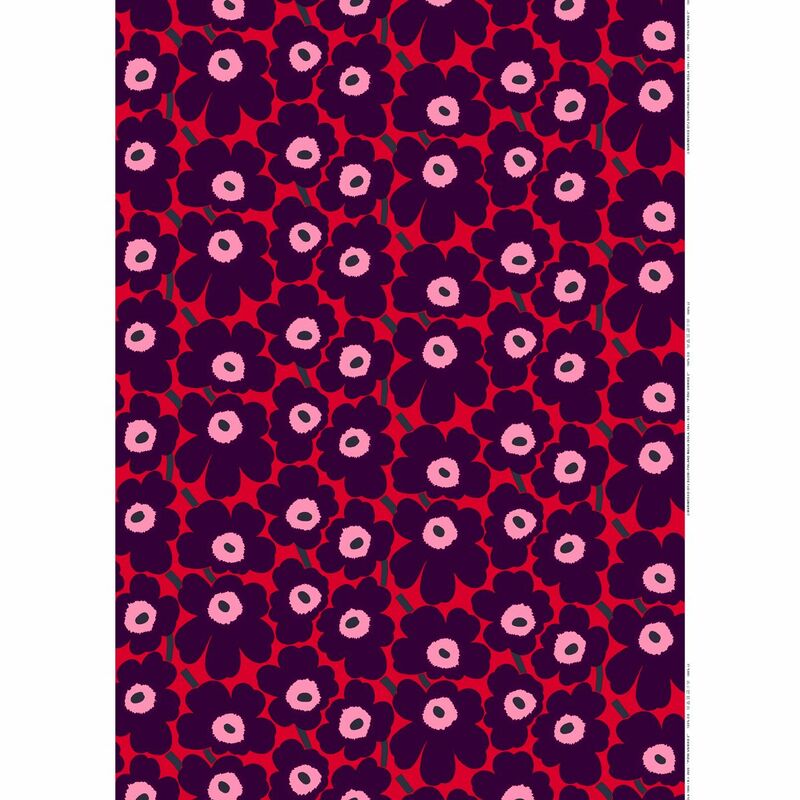 More about Marimekko Pieni Unikko Red / Plum / Pink Acrylic-coated Cotton Maija Isola's iconic Unikko (Poppy) print in miniature shows that small can still be bold. 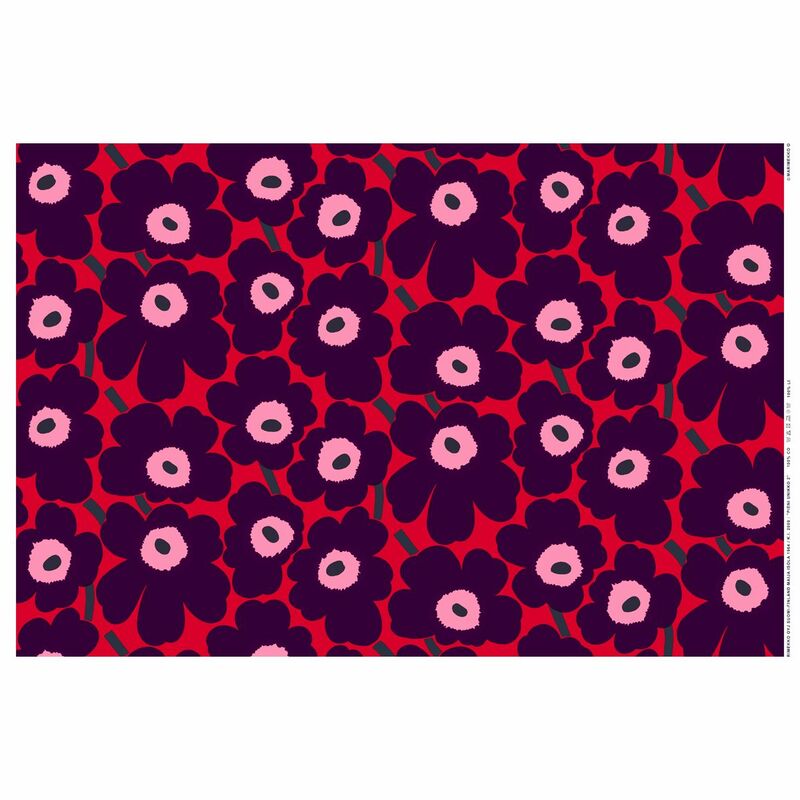 A fresh take on festive color schemes, the red, plum, and pink poppies are printed on 100% heavyweight cotton coated in acrylic. 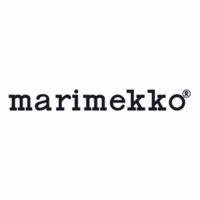 This coating make it easily kept clean, making the Marimekko fabric perfect for crafting tablecloths and placemats.